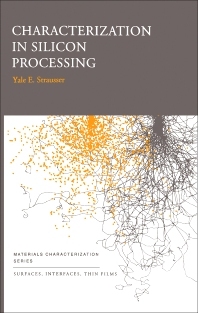 This volume is devoted to the consideration of the use use of surface, thin film and interface characterization tools in support of silicon-based semiconductor processing. The approach taken is to consider each of the types of films used in silicon devices individually in its own chapter and to discuss typical problems seen throughout that films' history, including characterization tools which are most effectively used to clarifying and solving those problems. Application of materials characterization techniques to silicon epitaxial growth; polysilicon conductors; Silicades; Aluminium and/or copper conductors; Tungsten based conductors; Diffusion barriers.